I have three images for you today. The Russia item is third. That’s a grown man, dressed up as a sales receipt. 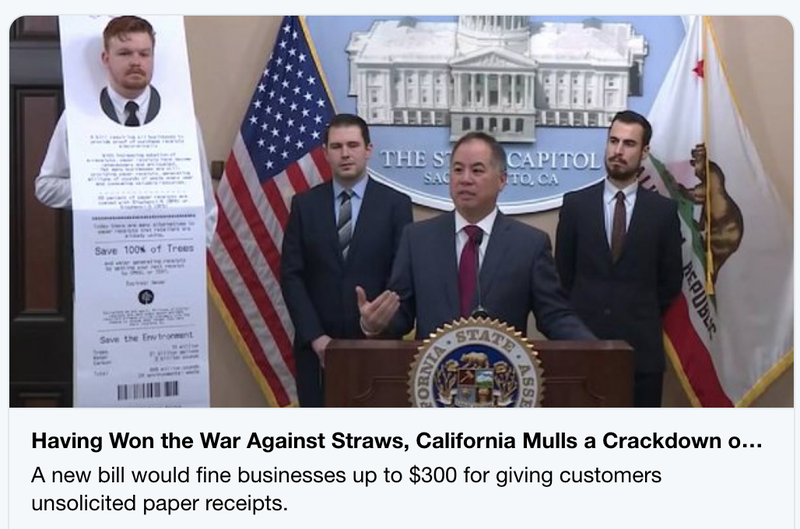 California is considering banning paper receipts unless customers expressly request them. Imagine looking around at the modern world and thinking: the real problem here is these paper receipts. These are left-anarchists. They claim to be for anarchism, but (like Noam Chomsky) they seem to like the welfare state quite a bit. 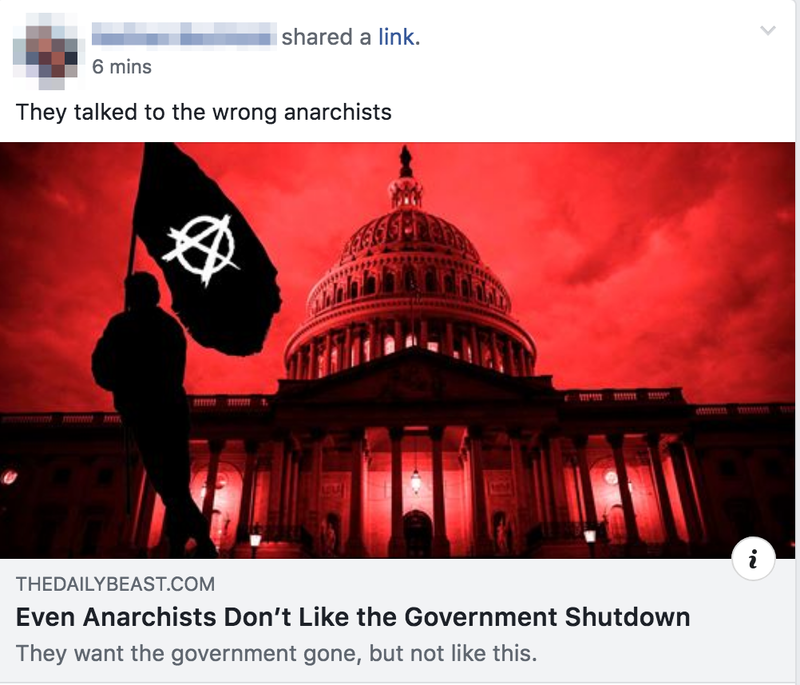 I get that the worst parts of the state are still in operation, and that, at least, is a valid point, but the sorrow for the poor government employees is awfully strange coming from so-called anarchists. Yes, that’s a real headline. Wouldn’t you think there’d be some left-liberals with a sense of the absurd, who would think that some headlines are just too embarrassing to print? Russia is infiltrating the American homeschooling movement? Did the most exaggerated fears of Russian communism ever involve inanities like this? It’s bizarre to me that when Russia was ruled by communist totalitarians, leftists like the folks at ThinkProgress were relatively ho-hum. Left-wing journalists traveled to what became the Soviet Union in the 1920s and declared it a paradise. For decades, right-wing critics of communism were dismissed as crackpots whose bellicose rhetoric was liable to start a war. Left-liberals choose today — 2019 — to be bellicose themselves, and obsessed with Russia to the point of self-parody. Yes, I’m sure the Russian government is planning to conquer America via homeschool curricula. That part of your brain that won’t entertain certain ideas because of how preposterous they are — it’s as if it’s switched off for these people. The normal people are all congregating in one place. If you’re demoralized, you’ll be rejuvenated. If you’re already hopeful, you’ll be more encouraged than ever. I’m in there chatting every day, and we all learn from each other and have a blast.